I decided to do basic concepts today, and since I find it a little monotonous sometimes to do all alphabet books, or all counting books, I combined them and did one book and activity for each. We started with our welcome song, then a brief introduction, followed by our story song. For our ABC's I wanted an alphabet book that had a little bit of a story, not just the typical "A is for Apple, B is for Ball" format because they always seem to get bored halfway through, no matter what the theme is. Chicka Chicka Boom Boom is an obvious choice, but I know they have that book and the tree that goes with it because I gave it to them last year, so I wanted something they hadn't seen before. 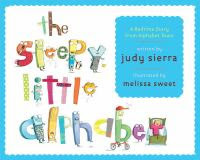 After reviewing several suggestions from peers, I chose The Sleepy Little Alphabet by Judy Sierra and Melissa Sweet. In this story the big letters are trying to get the little letters to bed, but they aren't cooperating. While both upper- and lowercase aren't shown on every page, they are all shown on the endpapers, and kids can always relate to trying to stall at bedtime. After that of course we had to sing the traditional "Alphabet Song". 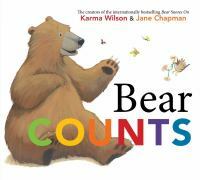 There are lots of good counting books, and I used a number of them last week for my Storytime-To-Go programs, so I wanted something different this week and chose Bear Counts by Karma Wilson and Jane Chapman. There is just something about the good-natured Bear and his friends that I like, and I love, love, love Jane Chapman's illustrations (did you know she also illustrates in a very different style under the pseudonym "Jack Tickle"?). This book only goes to five, so is better for the younger kids, but I like how it shows several groups of things for each number, the word for the number, and the numerals. One, Two, How Do You Do? 1, 2, how do you do? 1, 2, 3, clap with me. 1, 2, 3, 4, 5, look bright and alive. 1, 2, 3, 4, 5, 6, give your ice cream lots of licks. 1, 2, 3, 4, 5, 6, 7, look up to heaven. 1, 2, 3, 4, 5, 6, 7, 8, turn around and wait. 1, 2, 3, 4, 5, 6, 7, 8, 9, we are feeling fine. 1, 2, 3, 4, 5, 6, 7, 8, 9, 10, let's do it again! Afterward, we practiced counting back down from 10 to 1, and blasted off like rockets! Then it was time for our closing song, followed by stickers. I had a slightly larger group today, with 17 kids and according to the teachers this year's class is a handful, with lots of problems listening and following directions, which I could see a little bit of in storytime. 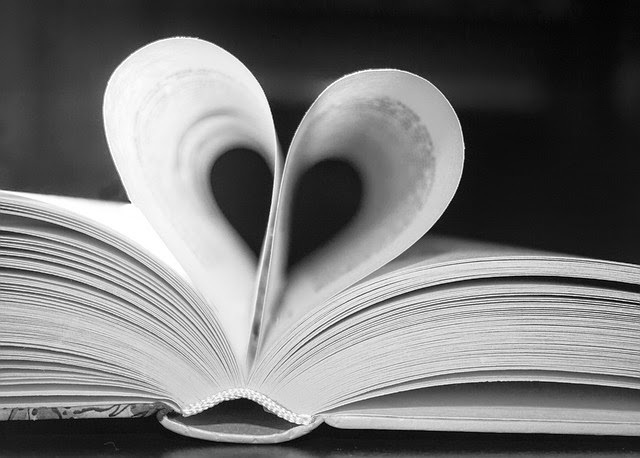 These books would be great for some groups, but were too "quiet" for this group, that is clearly going to require books that are much more interactive to keep them focused and engaged. That's okay, every group is different and it takes 2 or 3 sessions to feel them out and figure out what works best for that particular group. And then it is likely to change 😉 They still seemed to enjoy it, even if they weren't quite as engaged as I'd like, and that is what's most important at this young age, to have as many positive associations with books and reading as possible.